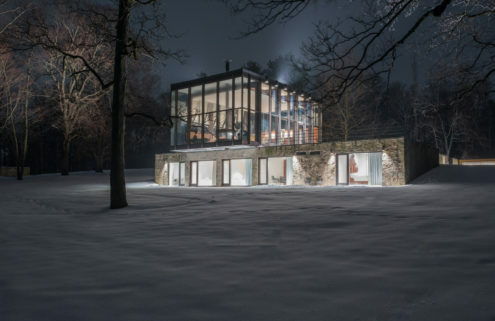 Across the south of Italy, unfinished foundations and concrete frames rise from a landscape of rolling hills and thick canopies of trees. Many look as though their building crews and cranes stepped off site only yesterday. Others as though they were abandoned decades ago. These ‘interrupted’ remains are the focus of French photographer Amélie Labourdette’s series, Empire of Dust. 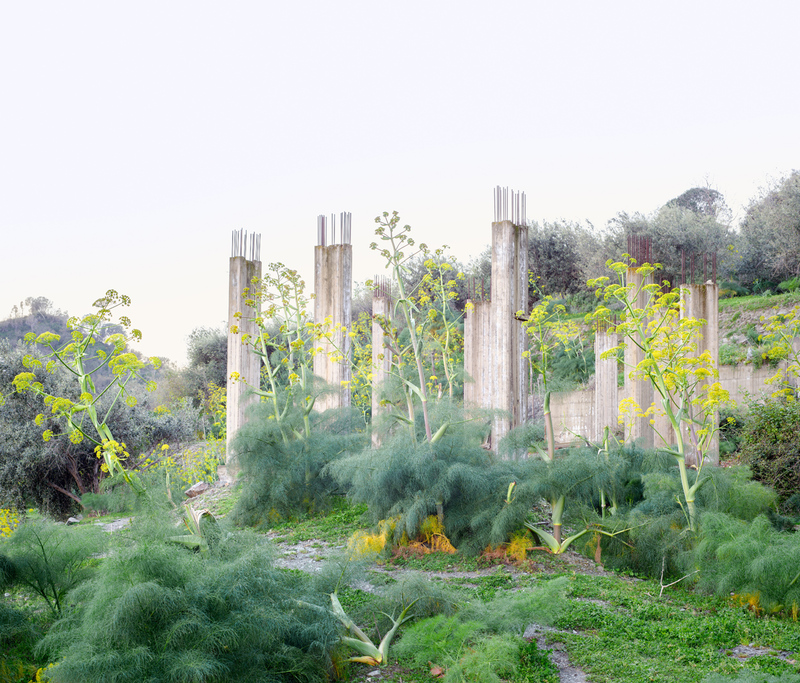 For the project, she spent a month travelling across Sicily, Calabria, Basilicata and Puglia with her assistant Wilfried Nail documenting the country’s abandoned building sites, which are almost as ubiquitous as vineyards and orchards in the regions. Roads and bridges built in the middle of nowhere; parks, aqueducts, swimming pools; railway stations, theatres, parking lots, and even a polo stadium are among sites the photographer has captured. 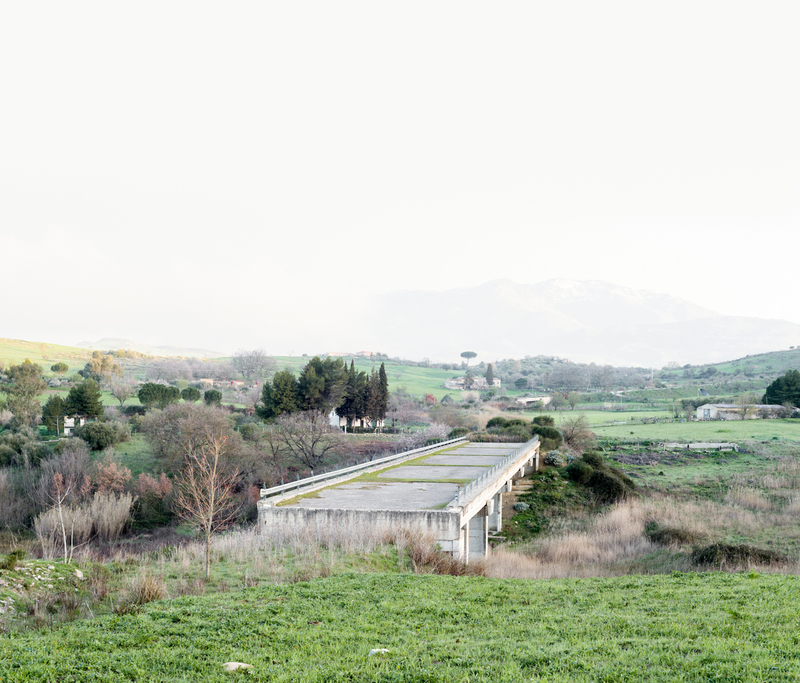 ‘The list of incomplete constructions littering the Italian landscape is remarkable. They seem to be in competition with ancient ruins [like] the Colosseum or the Roman Forum,’ she says. 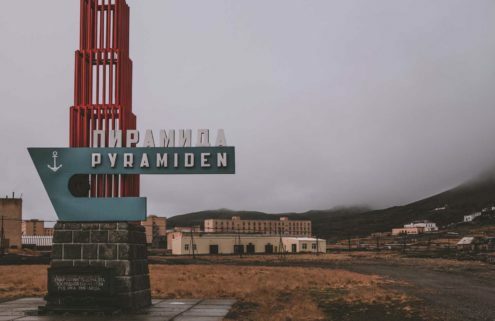 ‘The geopolitical context is important because these concrete skeletons standing in the landscape are reflections of our time – a metaphor for the decades of the “housing bubble”,’ she says. These scars of recent history lose their sense of ‘otherness’ as they age and begin to merge with the landscape. 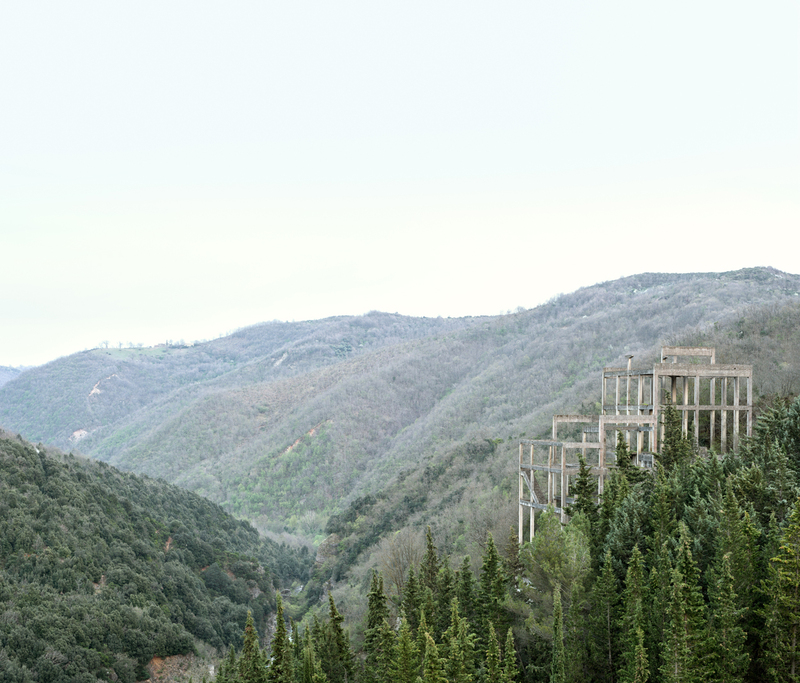 In one image, the pillars of a building’s concrete frame begin to echo the form of the sinewy trees of the surrounding forest. 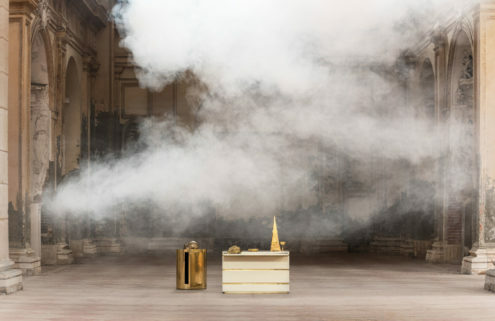 Their silhouettes also hark back to the distant forms of minimalist sculptures from the 1960s. Labourdette shot the series at dawn and dusk, when the landscape is on the brink of consciousness and ‘the atmosphere seems to bring out the atemporality of the landscape’. A recent survey of unfinished construction in the country found 360 sites scattered across Italy, including 160 in Sicily alone. 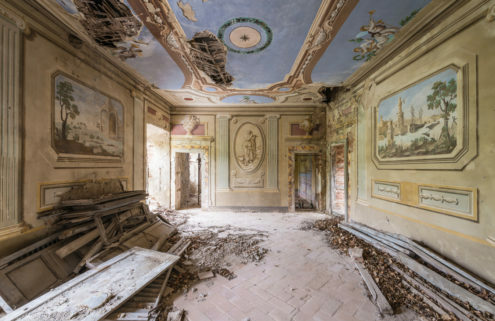 ‘These ruins of the 20th century are a heavy and cumbersome heritage for all Italians, because they must now decide what to do about them and what kind of future they should have,’ Labourdette says.